I have always found the aloe vera plant to be highly underrated. Everyone can and should have it in their homes. This humble cactus can be grown anywhere, and has strong survival instincts too. You can grow it in a garden, in a pot, on the terrace or any open area. In Sanskrit, it is known as 'Kumari', meaning a young virgin girl, and I think it's apt because it imparts a youthful energy and boosts femininity. It is in my eyes one of the most valuable plants that nature has gifted us with and should be used wisely as it gradually rejuvenates the entire human system. It is a good liver tonic and its regular use cleanses the system and helps regulate sugar and fat metabolism. It is useful for the treatment of obesity as well as jaundice. It is also excellent for internal healing and cleansing. 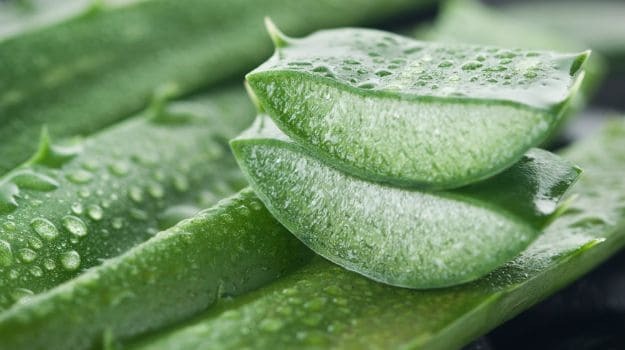 In this article, I am about to tell you the magical properties of aloe vera and how it can help your skin and hair. 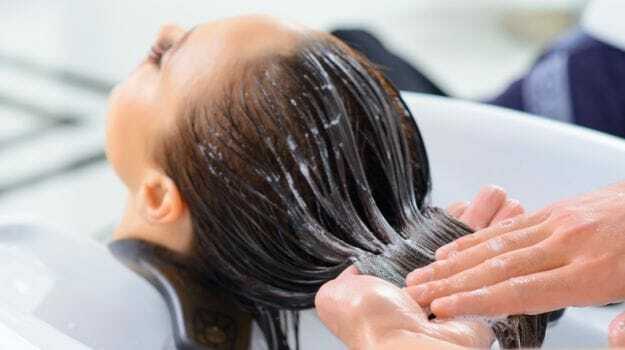 Experiencing hair loss, especially in this Monsoon season? Well, aloe vera gel is an excellent hair rejuvenator and tonic. Take a leaf, cut it lengthwise into half and scoop out the clear gel from the inside. 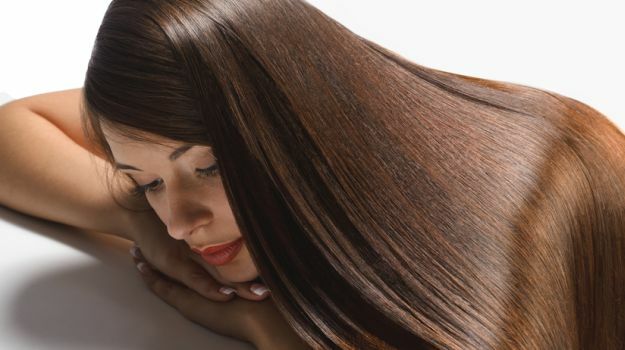 Blend this with 1egg and 2-3tsp olive oil, and massage into the scalp and hair. Cover with a hot towel for 10 minutes and shampoo after 40 minutes. If done twice a week, you will notice that your hair fall has reduced and your hair has started to look healthier and conditioned. Aloe vera makes a wonderful hair nourishing food. You can add 2tsp of the gel to the following - 1 mashed avocado, 1 egg, 2tsp honey and 1tsp triphala. Mix all these ingredients well and use all over your scalp and hair. Cover with a shower cap and leave on for a minimum of one hour. This will soften and nourish the most damaged and driest of hair and promote a healthier hair growth. If your skin is looking dull and discoloured, aloe vera is an excellent ingredient to reduce blemishes. 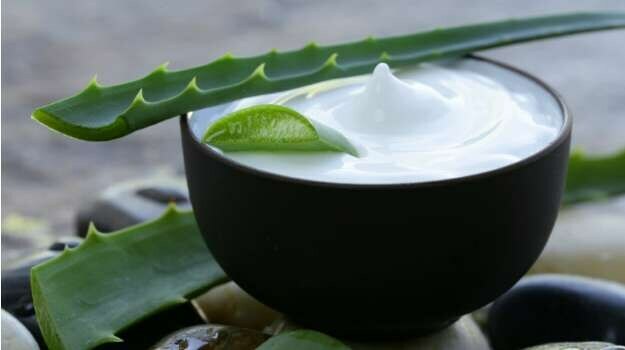 Take 1tsp of aloe vera gel and mix it with 2tsp mashed papaya and 1tsp full fat cream milk. Massage this daily into the skin for about 10minutes and let the skin drink its goodness. 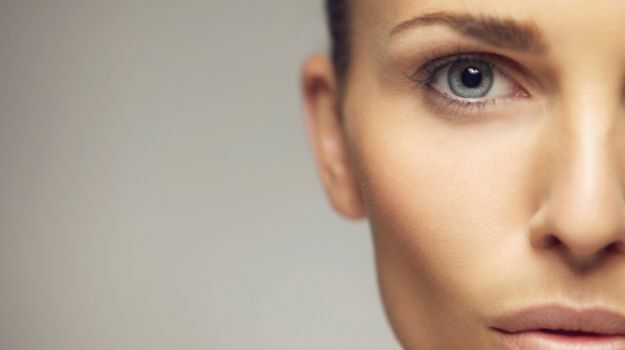 You will notice that your skin tone will start to even out and the skin will look brighter. 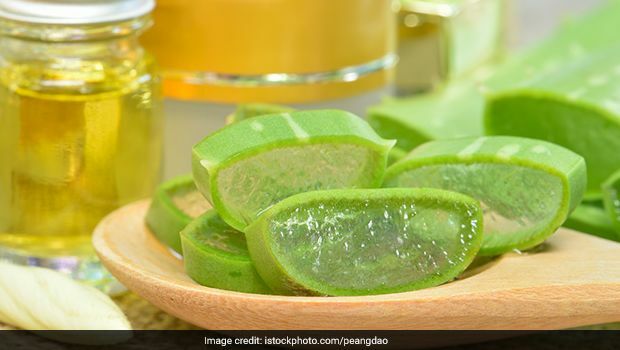 Aloe vera has anti-ageing properties and is known to make the skin youthful. I would suggest that for those of you who are experiencing lines, wrinkles and a dull looking skin, make the following mask - 1 egg white, beaten till peaks, 3tsp aloe vera gel, 2tsp china clay, 2tsp gumbandi almond paste and 1tsp fresh cream. Mix all the ingredients well and apply it on clean skin. Allow it to dry completely and then wash your face with ice water. Method: In a double boiler, melt the beeswax and stir in aloe vera gel and olive oil, and mix well. Remove from the flame and let it stand and cool. Add the essential oil and when it acquires a semi solid state, pour into a sterilized glass jar and store in the fridge. This can be stored very safely upto a week if not 10days. I would suggest this be used daily at night for a younger and suppler looking skin.